The halfway mark of the Upfronts sees ABC announcing its new line up. Housewives swap for Mistresses, Shonda Rhimes continues to rule and I think a submarine has found itself on the wrong network. 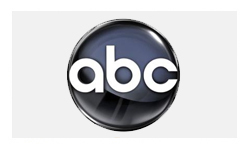 Just like House for Fox, ABC retired one of the shows that’s defined its character for a long time – Desperate Housewives. I gave up on the series after only a couple of seasons and from what I’ve heard the quality continued to gradually die away, so no one was that devastated when it drew to a close. Sadly for ABC they don’t really have much going on to replace it, GCB seemed to be trying to find the same magic and I didn’t hate the pilot as much as I wanted to, but the ratings just didn’t work out for it. Another freshman show that failed to take off was Pan Am (pun intended) – “all a bit Barbie and Ken, pretty and plastic, all having their little melodramas with perfect hair.” Although at least it was more watchable than the utterly dire Charlie’s Angels. The River was a horror/mystery thing that I haven’t actually watched the pilot of yet and saw almost no critical comment on. Even that though is better than Missing which I’d never even heard of until I saw it on the cancelled list. ABC did manage to win the prize for most offensively awful comedy with Work It which was not so much cancelled as obliterated to the atomic level. While ABC might be losing the housewives they’ve still got plenty of cheesy emotional melodrama for their schedules, with Grey’s Anatomy (which I can’t help loving), Private Practice (which I avoided getting hooked on), Revenge (which I didn’t like at all) and Once Upon a Time (which I liked the pilot of but haven’t got round to watching further). Easy going procedurals Body of Proof and Castle are also renewed alongside the new Shonda Rhimes series Scandal (which has a pretty good pilot, although I haven’t reviewed it here yet). Freshman comedies Don’t Trust the B in Apartment 23, Suburgatory and Last Man Standing are all renewed alongside The Middle, Modern Family and Happy Endings. Cougar Town meanwhile managed to be both cancelled and renewed – it will air on cable channel TBS instead. 666 Park Avenue – a nice couple move into an apartment building that may be built on the Hellmouth, or some such. Terry O’Quinn (Lost) stars which is always a good start and it looks deliciously creepy. The Family Tools (mid season) – the least handy son in history returns to town to take over the family handyman business, hilarity with nail guns ensues. What is Adam Arkin doing in this crap? How to Live With Your Parents for the Rest of Your Life (midseason) – Sarah Chalke (Scrubs) moves back in with her parents, who are sort of horrific. I chuckled. I kind of hate myself but I did chuckle. What’s with the ridiculously long title though?! Last Resort – A US nuclear submarine goes rogue, or was it the US government that went rogue and the submarine actually stayed true? I’m really not sure whether this is the most ridiculous thing I’ve ever seen or the most intriguing. It’s created by Shawn Ryan (The Unit, The Shield) though so it’s got a good pedigree. Malibu Country – three generations of Tennessee women head to California and the middle one tries to launch a country music career. it’s hard to get past how awful the narration and the laughter track are on this, but if you fight through it you’ll eventually uncover something desperately unfunny. Nashville – the cut-throat Country Music business. Nothing in the description appeals to me but the trailer really works, Connie Britton (Friday Night Lights) and Hayden Panettier (Heroes) have a great spark and at least it’s something different. The Neighbours – a family moves to the suburbs and turns out the neighbours are not just quirky, they’re also aliens. I don’t mind the aliens bit, it’s the quirky I couldn’t stand. Zero Hour – Life’s gone downhill for Anthony Edwards, he used to be Mark Greene, hero of the ER now he’s stuck in this rubbish. it’s like Indiana Jones meets The Da Vinci Code, there’s Nazis and conspiracies and secrets and clocks and a lot of running around and peering at things. It looks terrible! Mistresses – having just dispatched of a gaggle of desperate housewives, the next step I guess is desperate mistresses. There’s only a poor quality trailer which didn’t do a very good job of establishing characters but it seems to be a bunch of people cheating on their spouses. That doesn’t really chime with the ‘inspiring tale of life and love’ type thing the music and voiceover is telling me about. Red Widow – like NBC’s The Mob Doctor this is another story of a woman being pulled into a ‘family business’ that she doesn’t want to be in. Being ABC though, there’s a lot more sobbing. I was just left completely meh from the trailer (which again is poor quality, because ABC region lock their trailers). The Guardian (I promise I wrote all the above before reading this, we’re so in synch it’s a bit scary!